During the 1930s, a car designer named George Carwadine designed a lamp that he named the Anglepoise. It was a desk lamp that was originally made to be a workhorse. It was found in workshops as well as dental clinics. The popularity of the lamp eventually led him into making a version for the home. The Anglepoise sealed the architect’s lamp as a classic design element in homes. Today, architect’s lamps remain popular fixtures in interior design. Here, we take a look at some of the top architect’s lamps available. What is an architect’s lamp? Also known as task lights or drafting lamps, the architect’s lamp gets its name because it was originally designed to help architects see blueprints better. It is distinguished from other lamps by an adjustable head and a neck that can swivel without damaging the wiring. The advantage of this is that the light can be directed to a particular direction, depending on what is needed. The architect’s lamp has evolved from simply fulfilling a pragmatic purpose. In recent years, it has gained popularity among home decorators because of its strong industrial features. Why buy an architect’s lamp? An architect’s lamp is known for being functional. 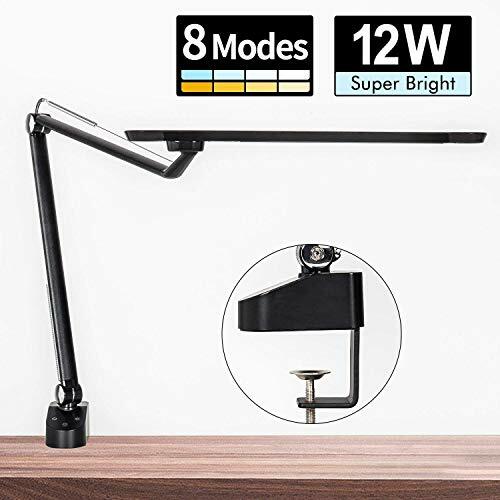 Its adjustable head and stem mean that you can direct the light towards your work or point it somewhere else when you want to avoid the glare. It is a great addition to offices and desk spaces where serious work will be done. Another reason why an architect’s lamp is a good choice is that it has a distinct aesthetic presence. It has a bold modern design of sleek lines and a minimalist shape. Most architect’s lamps also come with a clamp. This makes it an ideal solution to the problem of space. If the surface area is insufficient for work, the small footprint of this lamp makes it the ideal choice for lighting. The architect’s clean lines also make it suitable for a variety of home decorating styles. Whether you are looking at traditional or contemporary décor, the architect’s lamp can fit right in. When buying an architect’s lamp, the first thing that should be considered is the light bulb. After all, the exterior of the lamp is irrelevant if it does not perform its primary function, which is to illuminate the room. Take note of the color, lumens, and wattage of the light. It also helps to choose LED lights over incandescent bulbs because of its low power consumption. Its wattage is low, but it does not sacrifice any of its brightness. The practical result? You tend to have lower energy costs. LED bulbs also have longer lifespans. You do not need to keep on changing them. They are the more economical and eco-friendly choice. When it comes to color, a warm white works well for places where you want subdued lighting, like the bedroom. On the other hand, bright white can be used for areas of work like the kitchen or reading nook. The usefulness of the lamp is one part of the equation. Completing the formula is how it looks. Architect’s lamps come in a variety of sizes and colors, so it is easy to find one that caters to your preferences. Whatever the style is chosen, look for signs of good construction such as a stable base. The base should be strong enough that it can support the weight of the head and neck of the lamp. It should remain steady no matter what position you adjust the lamp to. The finishing of the lamp should also be smooth and even. Architect’s lamps can come antiqued, brushed, or some other finish. In any of these cases, the surface should be blemish-free. When choosing an architect’s lamp, inspect the details such as the joints. They should be secure and tight, so the lamp does not sway when it is adjusted. The power cord should also be long enough to be plugged in securely. Made by Amico, this lamp features a rotating base and a hinged arm. It also has a swivel panel that can allow you to adjust the head of the lamp to the angle of your choosing. It has a wide range of movement. The head can go up or down 180 degrees and fully rotate from right to left. The neck of the lamp is also at a respectable length of 21.6”. 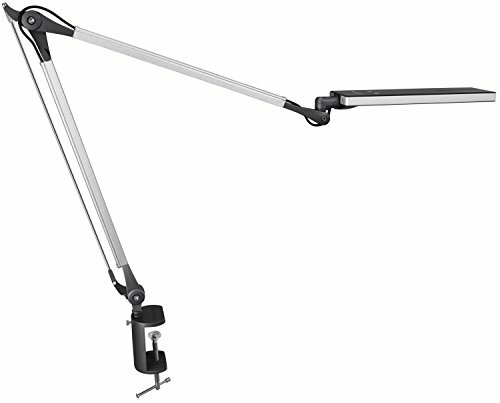 The Amico LED Architect Desk lamp features an 11-watt LED bulb. You can customize the lighting experience by choosing the color and brightness you need. To attach the lamp, it has a strong clip-on clamp that is compatible to a maximum width of 2.36 inches. 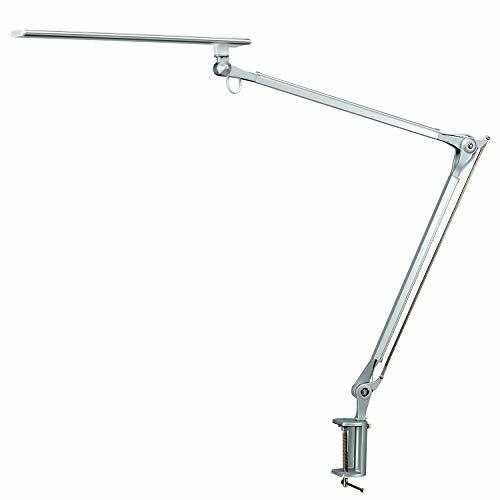 A unique feature of the Torchstar Metal Swing Arm Desk Lamp is its versatility. It can either function as a traditional desk lamp or it can clamp to a table. The clamp can mount to a desk that is up to two inches wide. It also has a weighted base for added stability. The neck of the lamp can extend to 18 inches tall, while the head can rotate to any angle. Adjustments are supported by spring-balanced technology to ensure that the lamp works well no matter what its position is. 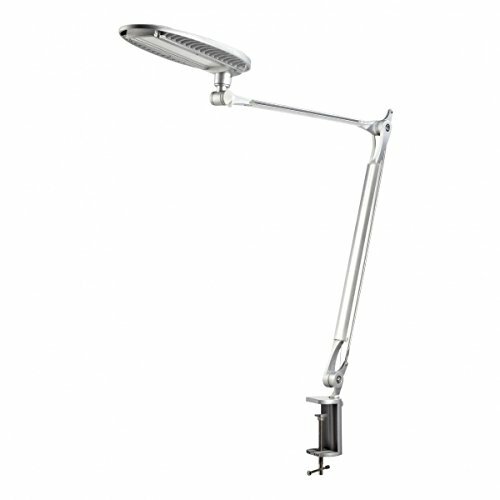 As for the bulb, the Torchstar Metal Swing Arm Desk Lamp works with a maximum 40-watt bulb. The selling point of the Phive LED Desk Lamp is that it has a diffusion panel that can soften the brilliance of the light to protect the eyes. In addition, it has a stepless dimming feature that you can use to further customize the brightness of the light. 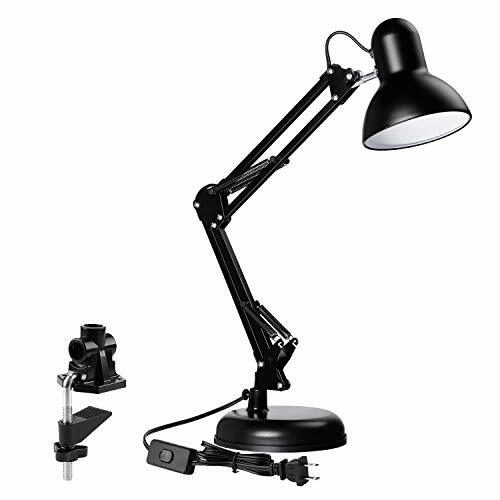 True to the function of architect’s lamps, the Phive LED Desk Lamp has a head that can swivel up to 18- degrees. It can be clamped to a maximum surface of 2.35 inches. Using the manufacturer-recommended bulb means that you can get 50,000 hours of use from the lamp at a lower energy consumption rate compared to incandescent bulbs. 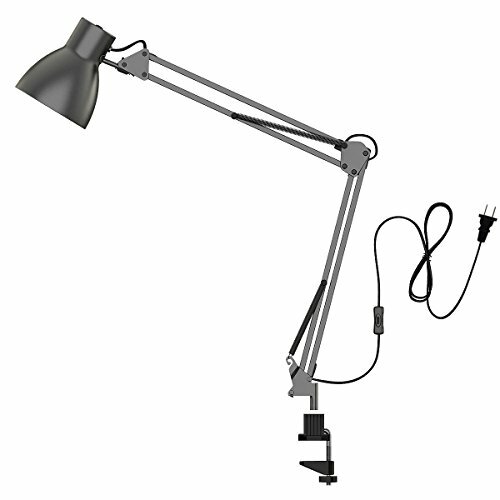 The ToJane Swing Arm Desk Lamp features a spring-balanced long swingarm and three rotatable metal joints. These parts ensure that the lamp is flexible and fully adjustable. ToJane guarantees the strong construction of this product. It is made from a 0.6mm-thick metal and finished thrice with a painting and roasting technique. The lamp itself has a manageable footprint. It mounts using a clip to a maximum of a 2.5-inch thick surface to ensure the smart use of desk space. The Phive LED Architect Desk lamp focuses on the quality of lighting in its construction. First, it has an impressive area of coverage. It has an 8.6-inch diameter diffusion panel to provide sufficient lighting. In addition, it makes use of a blue light reduction chip to ease the glare on the eyes and provide better protection. The lamp head itself can rotate 360 degrees. The Phive LED Architect Desk Lamp also has four lighting modes. Each setting intensifies the brilliance of the light. It can be adjusted using the stepless dimming feature. As an added convenience, Hive installed a memory function on the lamp. It takes note of the last mode and brightness setting when the lamp was last used. Finally, the lamp is constructed with an aluminum arm and a solid metal clamp to ensure durability. Architect’s lamps come in different variations. With the LEPOWER Metal Floor Lamp, it does not attach or stand on a desk. 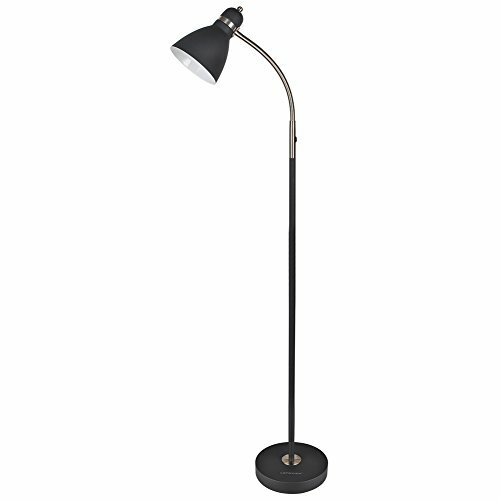 Rather, this is a floor lamp that can play up the modern industrial design elements of a bedroom or an office. The lampshade and base are made from metal. To ensure the stability of the product, the base is weighted. The manufacturer notes that the LEPOWER Metal Floor Lamp is suitable for use even when there are children or pets around. The lamp has an E26 screw base, which makes it compatible for a variety of bulbs. It can be used with a 10 to 12-watt LED bulb or a 12 to a 20-watt incandescent bulb. The maximum allowable wattage with this lamp is 40 watts. Finally, the power switch is conveniently located on the cord of the lamp. This particular lamp was designed for those who are prone to straining their eyes from overuse. To address this situation, the BenQ e-Reading LED Desk Lamp increased its lighting coverage by up to 150%. The area of illumination reaches up to 35 inches. It also has a Zero flicker Technology to ensure that the light does not flicker and is evenly distributed throughout the room. Knowing that people have different lighting needs depending on what they are doing, the BenQ e-Reading LED Desk Lamp comes with a mood lighting feature. You can easily switch to brighter light during the work hours and then revert to warmer light temperatures when it is time to relax. In addition, the BenQ e-Reading LED Desk Lamp has Smart Lighting technology. It has a built-in sensor that scans the available light levels in the room and adjusts to the suitable brightness. The OxyLED Architect Swing Arm has the basic features of an architect’s lamp. First, it has an adjustable neck that can swing up and down and side to side. It is easy to find the angle that responds to your lighting needs. Next, this lamp has a clamp clip that allows you to attach it to a table or a desk. Clamping the lamp on ensures that you maximize the use of your desk. 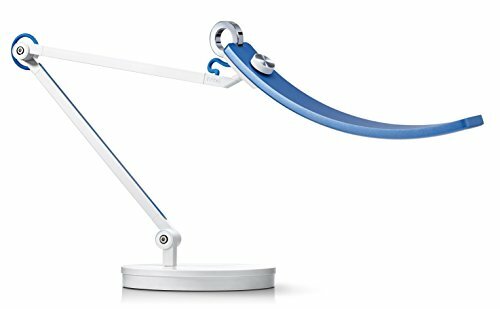 However, the OxyLED Architect Swing Arm does take the standard capabilities of an architect’s lamp and takes it up a notch. This lamp makes use of a patented LED chip that gives a flicker-free and glare-free lighting experience. You can also adjust the brightness of the lamp using an easy touch-button function. It also makes use of an LED bulb that has ultra-low voltage requirements. It can provide up to 50,000 hours of full lumen lighting at a reduced power consumption rate. The modern design of the Phive LK-1 Metal Architect Swing Arm is what makes the first impression. The manufacturer describes the design as “revolutionary”, as it features a bold and streamlined silhouette. The design takes into consideration the foundation of every architect’s lamp. It has a 360-degree swivel head and a 170-degree adjustable long arm. It features a strong clamp that can attach to a desk or table without any wobbles. As for its performance, the Phive LK-1 Metal Architect Swing Arm ensures a friendly user experience by making use of its patented technology. A diffusion panel with reflection light makes sure that the eyes are protected from glare or eye strain. The lamp also has six adjustable levels of brightness as well as four modes of lighting. It has a memory function that allows you to maintain a preferred setting.